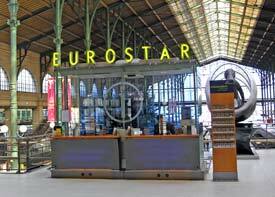 Katrine was travelling on the Eurostar – for a short visit to Paris. She came – and conquered. Tall, slender, and willowy, with a waist a man can hold with both hands. Her eyes are transformed into “kohled”, emerald green pools of exquisite beauty and mystery. A long neck, as graceful as Nefertiti. Her mouth as perfect as the petals of a red, red rose. A stunning ivory-white, oval face framed with velvety, long, dark hair. Katrine was invited to attend the “défilé” à Paris, after having been at the “London Fashion Week”. As she entered the hall, all eyes and heads were turned to stare at this dazzling woman. She was wearing a dark green satin jacket, with a short, tight skirt – a huge black fur wrapped around her beautiful neck and perfect shoulders. Her heels were “Laboutin” high. Her bag “Hermès” – in black on black. She sat next to a tall, slim man. They were fascinating and fascinated. “Après le défilé”, he invited her for drinks at the sensuously romantic “Hotel Costes” – then dinner. Next morning, they had the perfect Parisian “express” and croissant. They walked by the romantic river Seine, ending up at her favourite “Café de Flore” in Saint Germain des Prés. “La plus belle femme”… had to catch the Eurostar back to London. She arrived at the “Gare du Nord” with sadness at leaving the man she just left behind. Will she see him again? Having bought the “journal”, she boarded the train. Her seat was next to a tall, good looking man. They embraced and held each other tight. A moment of sheer bliss. Divine. It was Love on the Eurostar.